Is this how Galaxy Note 8 front going to look like? 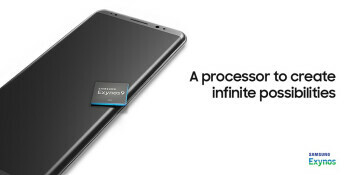 Recently, the verified Exynos account of Samsung tweeted about its Exynos 9 processor. The chip was placed on a gadget which we believe can be Galaxy Note 8 front. Samsung will launch Galaxy Note 8 in August, and the promotional tweet sent by Exynos’ official account is already creating hype among us all. The chip is smartly placed on a gadget that has not been seen by anyone before. With the new member soon adding up to the Galaxy family, we feel that the leaked picture displays none other than Galaxy Note 8 front. You can also get hands on the Galaxy Note 8’s smartphone cases of Mobile Fun by placing a pre-order. Galaxy Note 8 will have a fingerprint scanner, curved edges, and massive screen. No one can truly say if it’s actually the front of the upcoming Galaxy Note 8 in the picture. A few months back, Samsung had tweeted photoshopped leaks of Samsung Galaxy S8+. Though it had used such renders to not misinterpret info. They believe if they are focusing on the production of some other gadget, viewers often ignore such fake images. If the image showing the Galaxy Note 8 front is really genuine, it’s a wonderful surprise for all of us. Just look at how clear and classy the image is. As the company didn’t initiate to take down the image immediately, we still cannot figure out the intentions of Samsung.